Holy hip hop (also known as Christian rap or Gospel rap) is a type of music resulting from artists using the musical style and aesthetics of rap/hip hop but including overt lyrics professing their Christian faith. The genre developed mainly within the larger framework of Gospel music in the 1980s as artists such as Stephen Wiley, dc Talk, and S.F.C. (Soldiers for Christ) began writing rap music with Christian lyrics. These early Christian rap albums were released by Gospel music labels such as ForeFront Records (now a part of EMI Christian Music Group). In the 1990s, the genre spread as artists such as The Cross Movement and the Gospel Gangstaz expanded the audience. The Cross Movement, based out of Philadelphia, understands their Christian rap music to be yet another subgenre of the larger hip hop culture. The Gospel Gangstaz, comprised of ex-gang members, represent a number of holy hip hop artists who retain their cultural style, preference, and aesthetics for music making after a marked point of conversion in their spiritual lives. For example, artists such as Bushwick Bill (Geto Boys) and Christopher “Play” Martin (Kid ‘N Play) have transitioned from other subgenres of hip hop to Christian rap in recent years. Currently, almost all of the major record labels for Christian music release albums that could be considered holy hip hop, but only a few specialize in this genre exclusively. The largest of these is the result of The Cross Movement establishing their own Christian rap label: Cross Movement Records. A number of African American and white American male artists make up the performers of this genre while there are very few female artists in this market. As with most subgenres of Christian popular music, there are many mixed reactions to this style of music from both the church and larger society. Finally, an important aspect of this genre is that a number of internet forums such as www.rapzilla.com, www.holyhiphop.com, and www.hhhdb.com (the holy hip hop data-base), and individual artists’ MySpace pages serve as networks for fans. The four Holy Hip Hop releases reviewed in this issue represent the products of three independent record labels specializing in HHH from two geographical regions: two from Philadelphia (Cross Movement Records and Lamp Mode Recordings) and one from Dallas (Reach Records). These four albums offer only a small sampling of HHH but shed light on some salient issues and stylistic features of the genre. While the production techniques of HHH appear to have caught up with mainstream abilities, albums in this genre vary in style between albums and from track to track in many individual albums. The lyrical content is expressly Biblically-centered, offering countless vernacular metaphors, specific citations, and general thematic material related to the Christian faith. Within this overt Christian apology, artists’ personal faith tradition and perspectives come to the fore. These HHH artists interact with both the church and their “secular” counterparts by offering general (and sometimes harsh) critiques of actions viewed as ungodly with their favorite target being materialism. Overall, these four albums are well-produced and lyrically interesting examples of a continually emerging musical genre that interacts with both the secular and ecclesial world. A founding member of The Cross Movement, Phanatik has been involved with Holy Hip Hop/Christian Rap since the inception of the genre. Cross Movement Records released Crimes & Consequences, Phanatik’s second solo album, in November of 2007. While not technically a concept album, Crimes & Consequences, addresses the negative effects of “sinful” behaviors in a pattern that loosely follows the structure of the Ten Commandments from the Hebrew Bible (a fact made most explicit in the track “Top 10”). The music of the entire album is hard, with booming, dark beats accompanied by minor key synthesized orchestral vamps. Phanatik’s rapping style is direct with simple, yet direct, hooks. 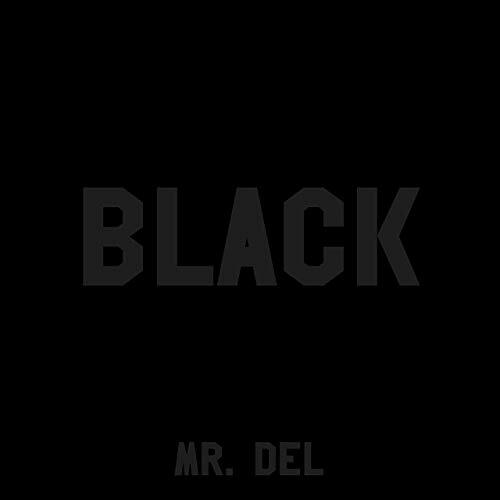 The production quality is solid, equating to that of mainstream rap. In fact, aside from the lyrical content of the album, one would be hard-pressed to differentiate it from most mainstream hip hop. Where Phanatik appears most insightful is in his broader social commentary. In the track “Mason Dixon,” Phanatik cleverly weaves his hook “just cause the whips done stopped / don’t mean you’re free to go / boy pick them crop…what up homie, ain’t your culture for sale?” He alludes to Booker T. Washington and W.E.B. DuBois and urges people in multiple geographic regions to do something he views as worthwhile rather than simply “being profitable.” Similarly, in “Pyramid Scheme,” Phanatik addresses the trappings of the “American Dream” which he equates to excessively buying material items. While not every track relates to crime, Phanatik is most direct when addressing the prevalence of violence in the urban environment. He refers to his hometown as “Killadelphia” (in “Ready to Go”) and urges listeners to hear his positive gospel message instead of resorting to violence. Governed by the extended metaphor of the world as a prison, Phanatik articulates his evangelical perspective and critically engages the larger hip hop culture while employing hip hop’s own musical medium. 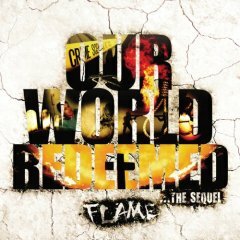 Released on March 4, 2008, Our World Redeemed is the sequel to Christian rapper FLAME’s third album, Our World Fallen. Born Marcus T.W. Gray, St. Louis native FLAME was influenced by hip hop music at an early age and then by Christian rap upon hearing The Cross Movement. FLAME is now a successful recording artist for Cross Movement Records as evidenced by Our World Redeemed; it debuted at number five on the Billboard Top Gospel Chart and number one on the Christian Music Trade Association’s R&B/Hip-Hop Chart. 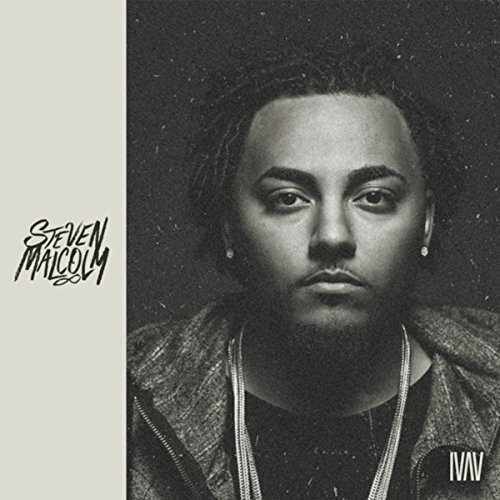 Our World Redeemed contains sixteen stylistically diverse hip hop tracks and includes collaborations with popular Christian rap artists such as Trip Lee and Lecrae. Similar to recent Cross Movement Records releases, Our World Redeemed is produced at a high quality. 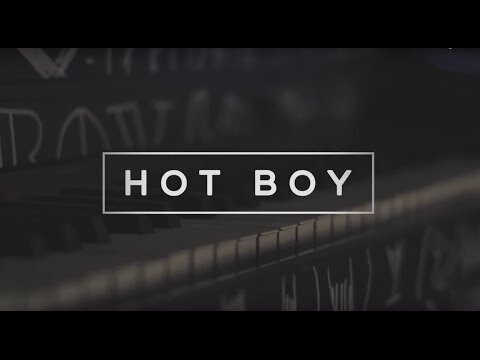 As a concept album, the tracks move between narrative musical tracks and spoken word interludes to form a story of a young man who decides to turn his life around with FLAME encouraging him all along the way. FLAME’s influence from the larger realm of hip hop is evident in both the album’s production and style of his rapping. For example, the track “Go Buck” uses a hard sounding, minor vamp of synth horns that could have been pulled off of any DMX album. In this track, FLAME’s fast paced rapping style sounds quite similar to that of Busta Rhymes. The more soulful and R&B inspired “It’s You” is much more upbeat and echoes production techniques reminiscent of The Neptunes and a syncopated rap style more similar to that of Tupac Shakur. The track “See More Him” cleverly spins the following phrase to allude to the Biblical story of Zacchaeus in the sycamore tree: “I wanna see more him / cause I’m sick of more me / I’m gonna be like Zy-ki / in the sycamore tree.” The vocal production on this track employs the technique achieved through the manipulation of Antares Auto-Tune that has recently been popularized by artists such as T-Pain. Therefore, this album, while presenting a straightforward Calvinist apology for the Christian faith, employs the techniques of and echoes much of contemporary hip hop production and aesthetics. Born and raised in Philadelphia, shai linne has a background in theater and the arts. Influenced by Run-DMC and Grand Master Flash, he was fully immersed in hip-hop culture from a young age. 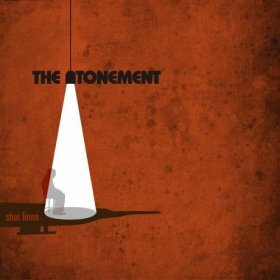 The Atonement is shai linne’s first solo album release and is produced by Lamp Mode Recordings, a small, independent Philadelphia record label which represents HHH artists linne, timothy brindle, Stephen the Levite, Evangel, deejay essence, and Hazakim. The production of shai linne’s album is not as varied or “clean” as the other Holy Hip Hop albums reviewed in this issue. The Atonement is based more on the use of samples and incorporates the noise from record grooves. These facts, in combination with shai linne’s poetic (almost spoken word) rapping style, suggests an aesthetic choice to create more of an “underground” and less of a “pop” or “dance” vibe to the CD. Therefore, this does not appear to signal any regional differences since Cross Movement Records (CMR) is also based in Philadelphia, yet its releases are similar in style to those of Dallas based Reach Records (RR). Rather, these traits-the use of cleaner production, varied musical styles between tracks, and a general mirroring of mainstream hip-hop albums-suggest that the CMR and RR are well-established and financially sound record labels that are reaching large audiences. In terms of musical style, shai linne’s vocals are more understated, laid back, and consistent when compared to FLAME and Sho Baraka, whose voices are more chameleon-like, varying from track to track and moving in and out of various styles. Each of these artists is deeply personal in his lyrical observations and reflections on personal stories, struggles, and identities while critiquing the problems of the world, non-Christian behaviors, and the church, itself. shai linne boasts about Christianity while simultaneously suggesting the meaninglessness of secular rap lyrics. In “Jesus is Alive” he raps, “Looking for the body of Jesus you won’t find it / we never lack spirit / letting you cats hear it / ‘cause his tomb is empty like most secular rap lyrics.” As with FLAME, shai linne’s perspective is similarly inspired by Calvinist theology as he references the concepts of total depravity (from “In Adam All Die”) and election (from “Jesus is Alive”). Finally, it is worth noting the common practice of collaboration on tracks from the four Holy Hip Hop albums reviewed in this issue. In fact, shai linne appears as a guest artist on FLAME’s album while the popular Christian rap artists Trip Lee and Lecrae, among others, both appear on FLAME and Sho Baraka’s albums. Similarly, each album includes audio samples of male preachers delivering sermons. This integration further showcases each artist’s personal relationship to the ecclesial world.